My little one going to be two years old next month! Time runs very fast! It is really amazing to think about these two years. 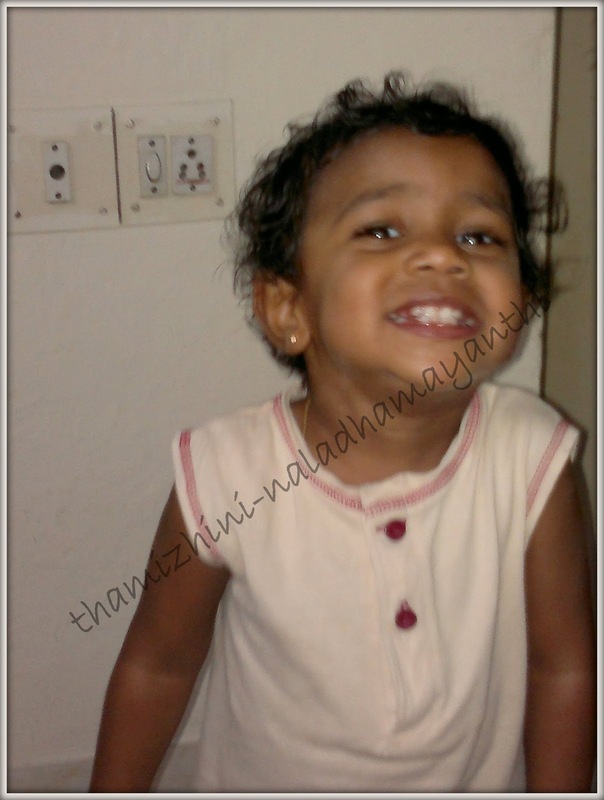 I always tell Nalin that, she was nowhere two years back, but now she is everywhere running, jumping, talking and doing all naught stuffs at home. About her developments, needless to say that she has become pro in talking and doing all things on her own (only when she wants). 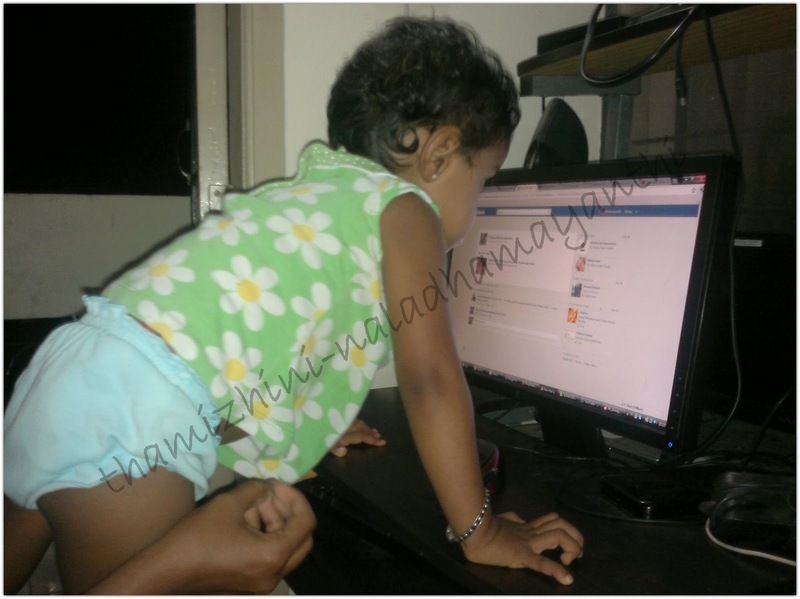 As she is grown up now, she just understands each and every movement we do. We can not simply escape from her. These days it is really tough for me to start to office. I need to do all kinda trick to cheat to her and need to run office. But my dear lady does not search me once I left office. She also just makes drama for that 10minutues. After 15 or 20 mins, she will not really think about me. That is for sure! Grr... And one another thing is that she says "Bye bye" to her Appa nicely. I must say that she is feeling too much shy when she sees new faces. Not only at home, but where ever she sees. I sometime feel when she will stop her mouth, but if some one comes to home, that is all. Her lips will get locked automatically! I had taken her to office one day on the last month and there too, she was not talking to any one, but she is talking on her own sitting in my place and roams around office. She is not scared to see any one newly, but feels shy to talk with anyone. 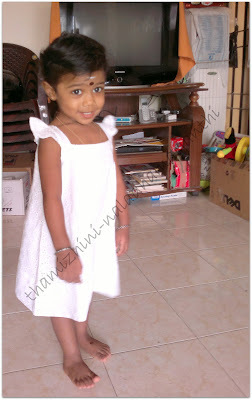 Amma scolds me, if I ask for new dress! Compther, Yeah this is how she says for Computer. She never allows me to sit there for a second, somehow she will smell that I'm on system and she will come to me, then sit on my lap. That is all! My work gone! Really very tough to do blogging these days. :-( Check out the below photo how she looks at system monitor. Great work with the blog, Anni ! Love hearing updates about Tamizhini growing up. Miss you guys !